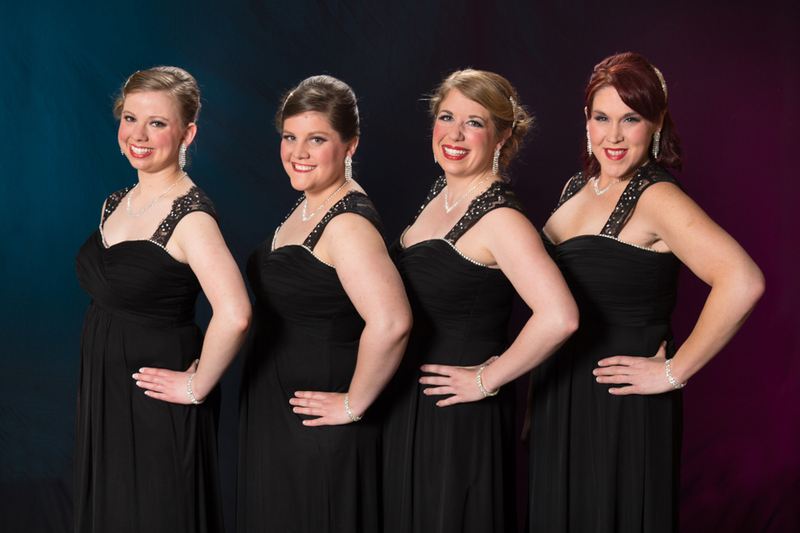 Audacious Quartet is a registered quartet with Sweet Adelines International based in Region 19. When deciding on a name for the quartet, Katie, Dani, Ashlee, and Maria simply Googled "synonyms for sassy." The quartet formed in January 2014 and competed in their first regional contest in April of the same year, winning the Novice Quartet Award. As their journey continues they would love to perform for your event so please don't hesitate to contact Dani Japhet at audaciousquartet.sai@gmail.com for more information.